Masta Ace hails from Brooooooooooooklyn and has been killing it for decades. 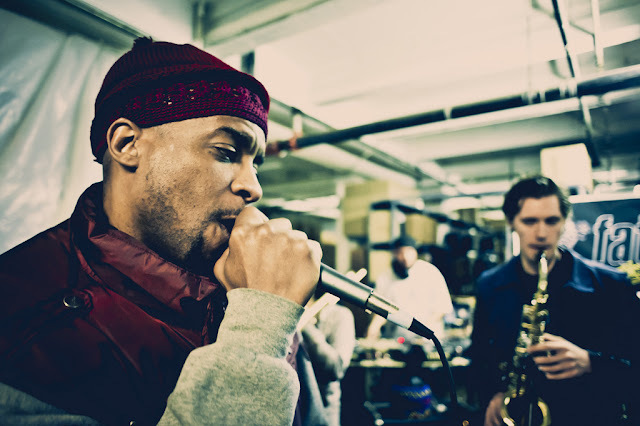 His 2001 album Disposable Arts is a concept album, which chronicles Ace’s flight from the hood to the Institute of Disposable Arts in Up-State New York and the "regular" developments back home. It is one of my favorite albums of all time because of the nearly seamless narrative about life in the hood while satirizing higher education in America. The album is packed with JamAndAHalfs and radical verses from Jane Doe, Jean Grae, Punch, and Strck. There is not a weak verse on the entire album. The song Acknowledge, is a classic battle rap that, oddly, is the only song on the album that does not flow perfectly in the narrative of Ace’s flight from the hood. That said, the song is straight fire. Ace’s bars are accompanied by a weeping violin, which conjures up images of the other rappers’ funerals. A Gangstarr sample is used as the hook and seems to add authenticity to Ace’s status as a true BIG FISH in the rap game. The victims, The High and The Mighty, must have really pissed Ace off to make him stray from the running theme. The High and The Mighty provoked Ace by stepping “up at CMJ and mentioning” his name. Throughout the song, Ace slashes up the group’s members and their producer.